My resolution this year? 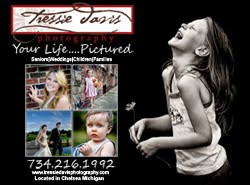 A more streamlined business flow for Tressie Davis Photography. I spent the last 10 days or so cleaning up - professionally, creatively, and personally (ugh, this house!). If you haven't checked out my website recently, now is the time to do it - I updated all of the image galleries including the home page slideshow, and created a separate image gallery for weddings (and engagement pics). The pricing pages now link to downloadable/printable PDF files, and my new Tressie Davis Photography and Team D e-commerce site is up and running - you can check that out under the link "Videos and Prints" (be sure to watch the sample client video in the 2009 video folder - the new vids are awesome!). A DVD video of YOUR images will be included with the purchase of a Digital Session. The ordering si te shares space with my sports photography, Team D Photo - I'm hoping to have more time in 2010 to dedicate to photographing local sports, I have created new business cards for that side of the business in anticipation of that effort. And on that sports note, my husband has just launched his one on one basketball coaching business, Davis Basketball. Be sure to check him out if you are in Washtenaw County or the surrounding area. 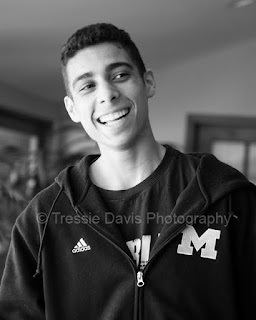 And...last but not least, I'd like to wish a Happy Birthday to my oldest son Dominic. 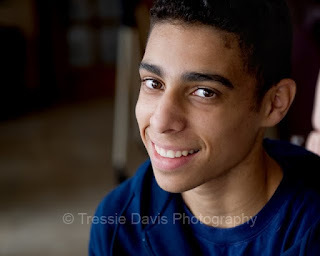 Dom turned 16 on December 28 - it's hard to believe he could be that old (or that I could LOL). Happy Birthday Dom, I love you!! Wishing you all a Happy, Prosperous and Creative New Year - all the best to you in 2010! !